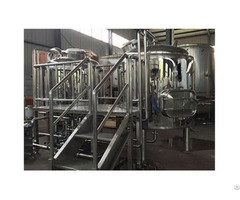 Configured with pumps, sanitary grade piping, valves etc, speed controlled stir for mash and lauter tank, ABB motors, wedge wired filter plate, sight glass, auto steam heating, sanitary grade pipes and valves etc. 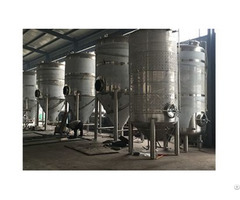 Single or double stage plate heat exchanger, S/S316 material, designed as customer’s brewing process. Optional hopback configured for hops filtration. Designed platform, skid proof, with hand rails. 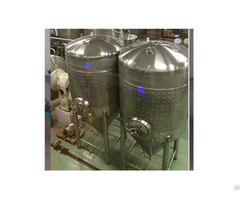 Tank quantity customized. Optional bright beer tanks required. Cooling unit: Chiller+ice liquor tank+ pump etc, R404a/R407c Freon. Cold water circulation for wort cooling and ice/glycol water circulation for fermentation/bright beer tank cooling. Control: Temp/motor/pump control etc. PLC or PID control. Siemens PLC of S7-1200 or S7-300 series. Other: Min1000kg/h double roller malt mill+flexi auger+grist hopper+hydrator etc, or wet milling unit. 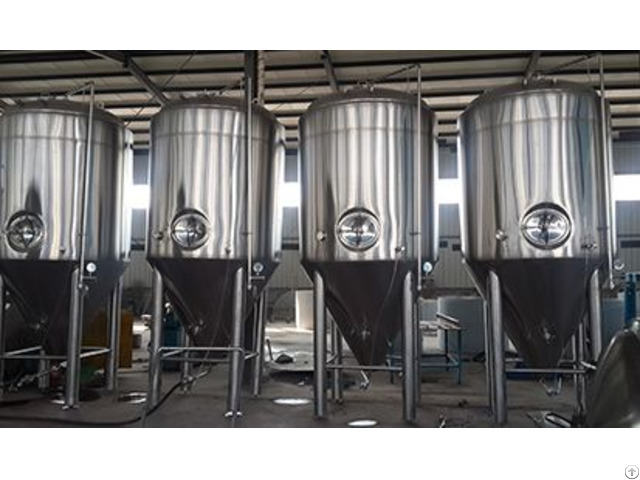 500L-1000L fixed CIP system, alkali tank+acid tank+sterilize tank+hot water tank etc, with pumps and valves etc.